A kaleidoscopic light show! 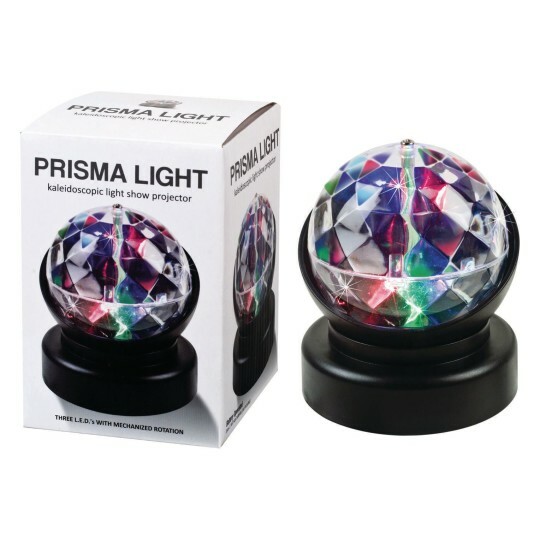 It's an instant party when you turn on this rotating prisma light! Plastic dome rotates, creating a moving kaleidoscope of red, blue and green shapes on your walls and ceiling! 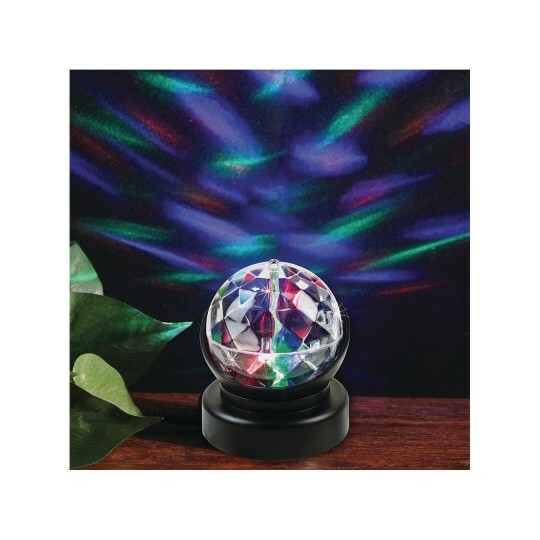 An exciting addition to your sensory stimulation collection; fun as a night light, too. Uses 3 "AA" batteries, not included. Approx. 3-1/2" x 3" diameter.